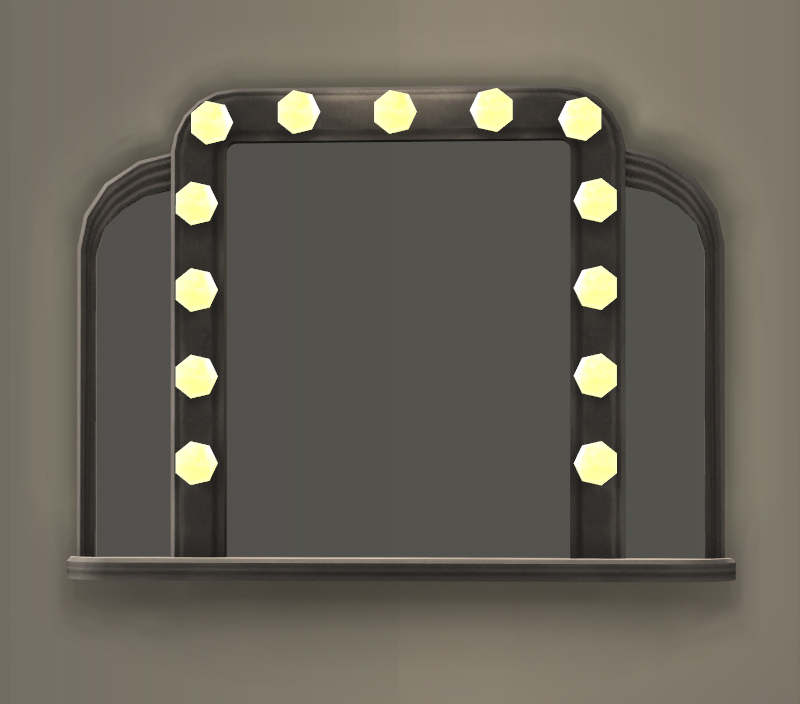 Here's a 3t2 classic theatre mirror. The lighting effect is created through the TXMT and it can be turned off and on through the pie menu. Straight out of the catalog it'll be on in case you need it lit on an unoccupied lot. 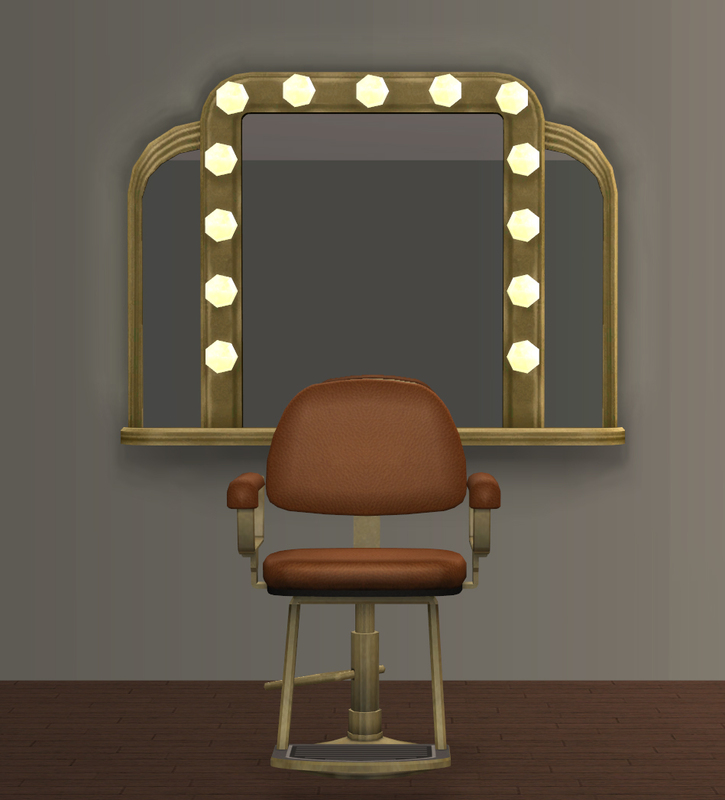 The mirror is positioned to work with the salon chair or be used with a table to create a vanity. 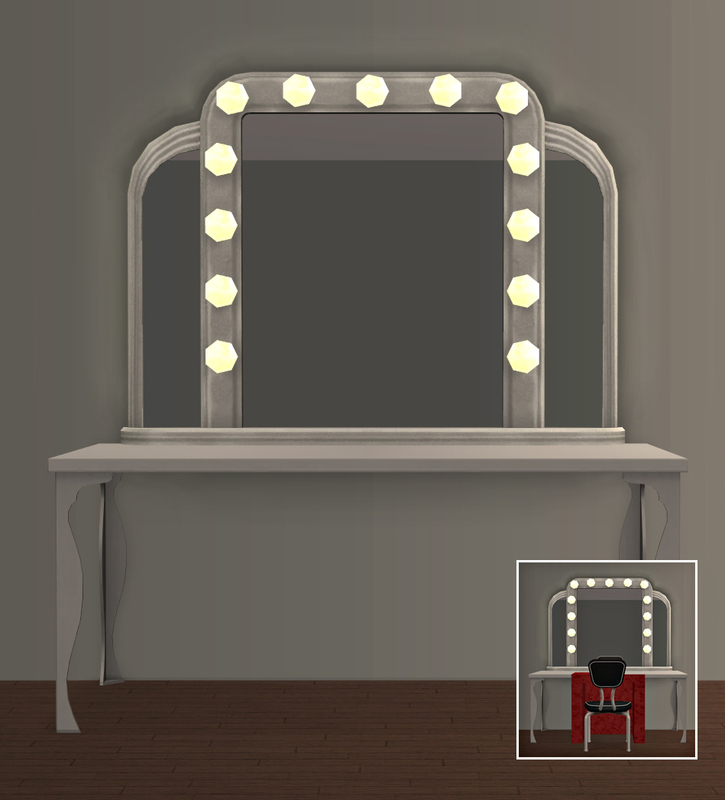 Recommended: Invisible lights and 1 tile desk would be great to have with this. Nix has a lovely set of invisible lights HERE and the desk from my Island Counter Desk set are two options if you need them. 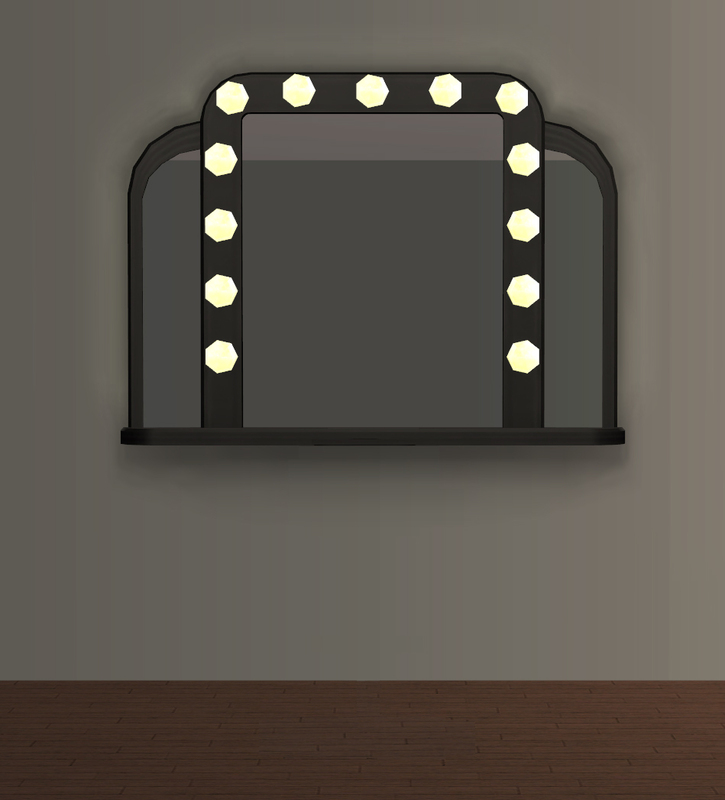 The mirror originally had a point light and gave off light like a normal light would but it can't be turned off. I didn't like that so I took the light out but that version of this is made so there's no reason not to offer it for anyone who'd prefer to have it. 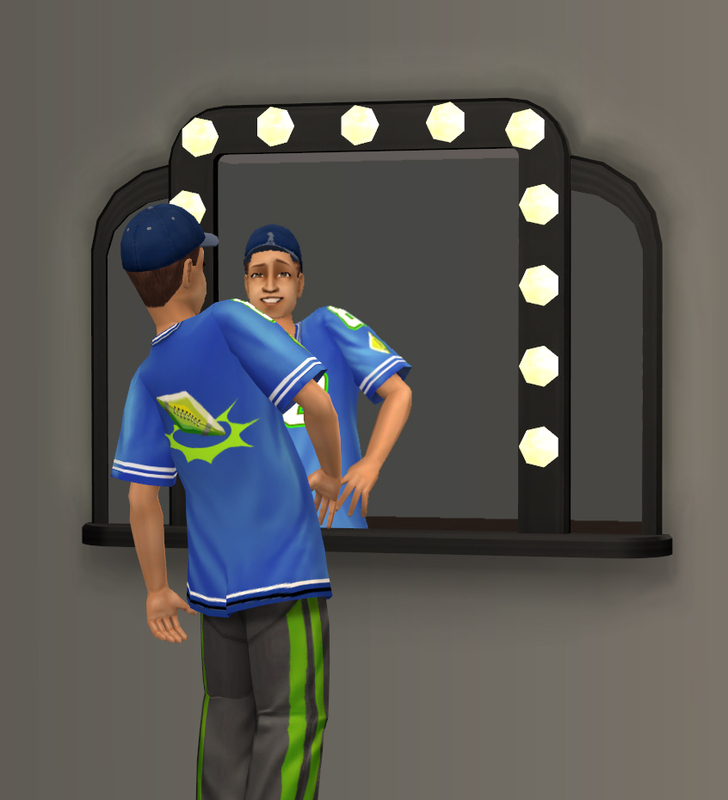 The names and GUIDs are the same so you can't have both but if you'd like the alternate version (along with the original ts3 texture) you can download it from SimFileShare. Maxis for the meshes & textures, SimPE, Milkshape and MTS as always for hosting the content and the tutorials to help make the content.